 A reliable source for Deburring Machinery information and a resource for accessing leading Deburring Machinery and suppliers. Uneven bits on the surface and edges of the materials are referred to as burrs. Deburring is the process by which edges or ridges of machined parts and other objects are neatened or smoothed. The term “deburring equipment” refers to all of those machines that carry out this process. All sorts of materials, including ferrous and non-ferrous metal and sheet metal (especially steel), wood and plastic, need this treatment; it’s a common stage in industrial manufacturing, as well as in electronics, building construction, automotive, aviation and medical device production. Generally, deburring machinery is required after processes like molding, forging, stamping, drilling or machining. Deburring machinery is a valuable investment for nearly any manufacturer because so many processes, especially steel machining processes, leave behind sharp edges, bumps, raised edges, burrs or seams that need to be removed. A failure to deburr could lead to operational damage, ineffectiveness and accidents or injury, as well as poor aesthetics and quality. In addition, the smooth surface finish achieved by deburring prevents areas of stress and weakness from going unnoticed and allows for accurate mathematical and/or scientific performance analysis. Deburring Equipment Uneven bits on the surface and edges of the materials are referred to as burrs. Deburring is the process by which edges or ridges of machined parts and other objects are neatened or smoothed. The term “deburring equipment” refers to all of those machines that carry out this process. 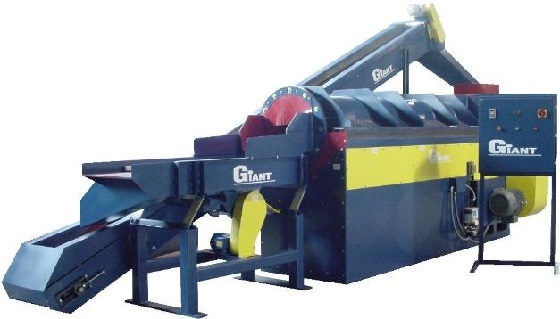 Giant Finishing is a well-known manufacturer of deburring equipment and machinery, media and compounds, molding vibratory bowls, multi-stage washers and more. 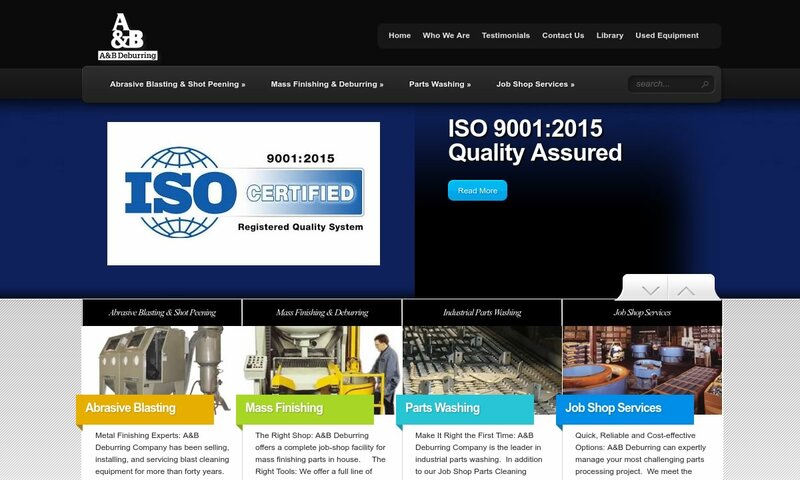 OTEC Precision Finish, Inc. is a world-class supplier of mass finishing equipment and supplies. Our primary products include centrifugal disc, drag and stream finishing machines to meet all of your deburring, polishing, grinding and honing requirements. 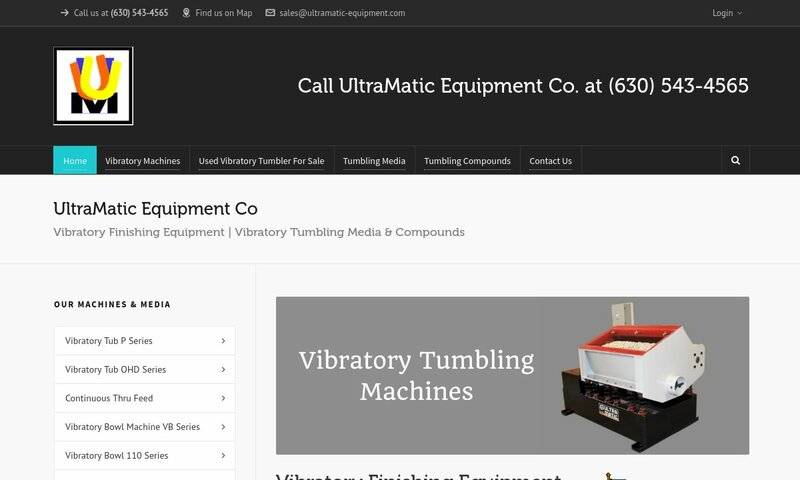 Since 1959, Ultramatic Equipment has been manufacturing a complete line of vibratory finishing equipment and supplies, such as polishing equipment, deburring machines, media and compound. 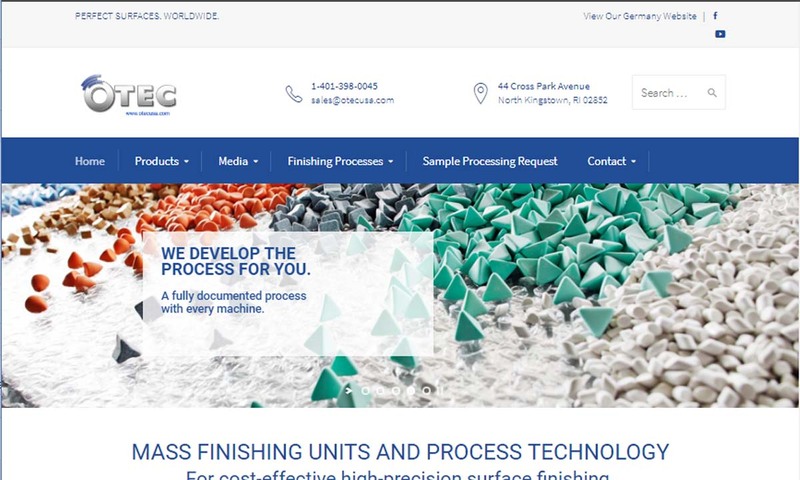 Serving customers’ surface preparation needs since 1946 with mass finishing, blast cleaning, shot peening and parts washing equipment. Midwest Automation is an industrial machinery manufacturer serving the woodworking, metalworking, composite panel, building component, recreational vehicle, and aviation industries. The imperfections deburring seeks to remove, burrs, come from machining. The first burrs appeared after humans began machining metal, around the Bronze Age. The earliest records and evidence we have of humans deburring items comes out of ancient Egypt. There, around 2100 BC, they used grinding wheels (grind wheels) on lathes. In addition, both the ancient Egyptian and ancient Chinese used tumbling barrels filled with stones to smooth jewelry and finishes. Today, we call this method tubbing, barrelling or rattling. 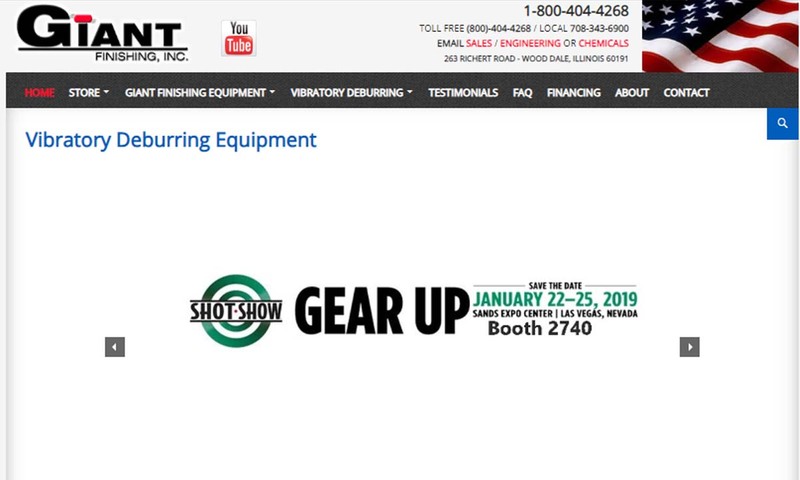 Deburring Equipment – Giant Finishing, Inc. In medieval times, many different societies deburred their metal products. In the 1100s and 1200s, for example, jousters had their apprentices tumble their chainmail armor. They did so by putting the armor inside casks filled with ragged rocks and rolling the casks around on the ground. Meanwhile, in 1225 China, innovators were experimenting with coated abrasive material. They created sandpaper-like material by coating paper with natural gum, and then cover that with crushed seashells. Europeans didn’t record using sandpaper until 1769, in Paris. Wood engravings from the 1500s depict guild members grinding scissors and knives using gridstones. In 1620, Pilgrims brought the grindstone, an early grind machine mechanism that can remove burrs and sharpen edges, with them to the New World. As the Industrial Revolution took hold in the 1700s, and machining methods and mechanisms began to advance burrs became even more common. To combat this, inventors needed to come up with better and faster ways to deburr things. For many years, though, the only commercial deburring method was tumbling. Meanwhile, precision deburring, such as that done to watches or gear teeth, was done by hand. The word “deburring” didn’t actually appear in the English dictionary until 1943! During the 1940s and beyond, scientists and engineers developed a series of improved deburring media. Around 1953, American engineers produced the first random shaped synthetic media. Also, in the ‘50s, German engineers developed instruments to measure burrs. Not long later, the first widely produced modern deburring equipment started appearing. This equipment included vibratory barrels and vibratory tubs, developed in both the US and Germany. A few years later, engineers designed internal separation for the vibratory tub. They also developed plastic media and centrifugal barrels for dry deburring. By 1960, manufacturers were using liquid compounds and round vibratory machines. The ‘60s and then the ‘70s saw the deburring industry advance in leaps and bounds. These advancements included: new media materials and shapes, different deburring machines adapted for wet and dry processes and the formation of committees dedicated to deburring discussion and standardization. Today, the deburring industry is more efficient and diverse than ever. Deburring is fairly simple. It involves placing products with burrs into a space, and removing the burrs via vibration, grinding, polishing or electrochemical removal. Rotational tumblers are barrels that are spun or rotated in such a way as to mimic natural erosion. Inside the barrels are parts and deburring media. The movement causes friction, which is what ultimately deburrs and/or polishes. Tumblers work with a wide range of products. Vibratory tumblers, also known as vibratory finishers, work via vibratory deburring, during which vibrations polish and grind away burrs. Vibratory deburring is also called vibratory finishing and mass finishing. Vibratory tumblers work a lot like barrel machines or rotational tumblers, but they open at the top, so that users can view progress without shutting off the machine. Also, they often feature complex vibrating sections and conveyor systems. Similar to these is the parts tumbler, which is usually much larger and is specifically designed to work on mechanical parts only (both metal and plastic). Parts tumblers, which also tumble media and parts together, can be used to deburr, polish and finish. In addition to these, a relatively new technique is also making headway in the manufacturing world. This technique, called electrochemical deburring (ECD), utilizes controllable electrical energy to deburr selected areas, rather than entire parts, then wash away the deburred material using pressured electrolytes. This allows technicians to deburr only the areas that need deburring, rather than an entire part or material. Also, with ECD, the tool and workpiece do not have to come in contact, which means that the work piece is not subject to any thermal or mechanical stress. ECD deburring, which must be done on clean, conductive surfaces, allows the deburring of materials that cannot be scratched or altered otherwise. Polishing machines, also known as polishing equipment, goes beyond regular deburring to polish parts. It can be incorporated into many different deburring machinery types, including vibratory tumblers and handheld filers and sandpapers. Sandblasting equipment accomplishes deburring by blasting the sheet metal parts with media from the outside. Typical blasting media includes small ceramic pieces or, for softer plastics, walnut shells. Parts washers are also a kind of deburring machinery that help eliminate unwanted burrs from the material. However, an advanced deburring machine is not just limited to cleaning the parts. Some deburring machines also perform the job of a polishing machine. These utilities are taken in routine to fill up the flaws and spots on the materials or parts. A deburring polishing machine helps engineers ensure that their machine parts and materials are ready for smooth functioning. A contact drum is a drum of rubber material that has an abrasive belt around it. In many designs, it is designed as an ideal drum that rotates along with the belt and brush of the machine. The material from which the contact drum is made is soft, smooth and flexible. Because of this, the contact drum ensures smooth and efficient cleaning. Wet deburring machines strategically use a coolant through a filter that catches and removes dirt and particles from the parts. Some machines have their own filtering system, while others will require you to get one separately. Dry machines are low on maintenance and have a long life. However, they will most likely leave particles on the surface of the machine. This way, this piece of machine must be used carefully under the supervision of experts. Centrifugal disc machines, also known as centrifugal disc finishers, consist of a barrel-like chamber and a spinning disc upon which it rapidly rotates. To deburr equipment, place your parts inside the chamber, along with abrasive media and turn on the machine. Centrifugal finishing is faster than vibratory and tumbler finishing methods. It is best for work with small medical devices or automotive parts. In addition to automatic deburring, manufacturers may also choose to employ manual deburring techniques. Manual deburring involves the application of abrasive compounds to a surface via rubber wheels or abrasive nylon filament cloth and brushes. Common possible deburring equipment components include: deburring media, vibratory bowls, brushes, belts, barrels/tumbling containers, robotic technology and a source of power. Deburring media are abrasive materials that help deburr a surface without harming the non-targeted area. Deburring media may be wet media or dry media. Common media materials include silica ceramic, synthetic plastics and natural materials like corn cob and walnut shells. The most frequently used of these is ceramic media, which is quite abrasive and is good for use on hard metals like stainless steel. Ceramic media are available in pre-formed shapes like triangles, cylinders, cones, ellipses and wedges. Synthetic plastic media, such as polycarbonate, acrylics and polyester, is less abrasive than ceramic and thus used on softer materials such as aluminum. Plastic media, also called plastic grits, is additionally available as wet media, perfect for tumbling. Finally, corn cob media is a clean, effective and environmentally-friendly alternative that is great for fine finishes and absorbing hard to remove liquids and particles like dirt, grease and oils, from soft metals. These are brushes that can be mounted onto machines as a tool for removing unwanted edges and bumps to exact specifications. They can be made from a wide variety of strong materials, like nylon abrasive filament. As an accessory, they are best utilized in the deburring of flat-surface parts with cavities, slots or holes. By removing the burrs from the material surface, you can ensure that your machines and processes run smoothly. Smooth functioning means that your processes are meeting your production demands. Uneven and irregular quality material can hamper the production cycle, which will add to the cost of production. Additionally, the poor quality of the material will lead to poor quality products, which will be denied by consumers. Deburring machines help you remove burrs from the material surface and increase the quality of the material. This way, nothing will bar your production process, and you will save plenty while gaining better margins on your sales. A number of deburring machineries apply a coating on the surface of the material. This coating acts as a protective layer that increases the resistance of the material against wearing, tearing and corrosion. When selecting a deburring system for your application, or designing one, manufacturers consider factors such as: the type of finish you seek (highly polished, coated, shiny, smooth, etc. ), the environment in which the machine will work, the material of the parts you plan to deburr, the level of burring on your parts, the size and shape of your parts, your load volume (by the cubic foot) and the frequency with which you will use your equipment. Many suppliers give you options to customize your deburring machine as per your application needs. They can, for example, engineer your equipment to perform multiple jobs. Some deburring machines can also apply a coating on the material surface to create a smoother and shinier metal finish. Sometimes, tiny and soft bits are distanced by rubbing two surfaces of the same material together. At times, sanding is also performed by the deburring machine to remove all the unwanted bits and pieces from the material. Besides sanding, additional deburring processes such as painting or coating can sometimes be used to achieve the desired finishing. All deburring equipment used in the United States must meet OSHA safety standards. In addition, some states, such as Michigan, have modified-for-state OSHA standards. (Michigan’s is MIOSHA.) In addition, many deburring machines must be able to help parts reach certain standards, such as Mil-Spec or RoHS. To find out what standards you need to factor in, check with your colleagues, industry leaders and supplier. To acquire the most effective deburring machinery for your application, speak to an experienced professional or a deburring machinery manufacturer. They can guide you to the right equipment, whether it be a large industrial machine or handheld tool. To find the right supplier for you, take a look at those companies we’ve detailed on this page. All of those with whom we work are reliable and proven leaders in the field. As you look them over, keep in mind your specifications and requirements, including those related to budget, lead times and delivery method. Pick out three or four companies to whom you’d like to speak, and reach out to each of them with your requirements and questions. From among them, choose the company that can provide you with the best, most personalized care.